I was so busy the past couple of weeks making Christmas Gifts and I wanted to share what I have been up to. So below are a few pics of the things I made. Some of them are examples of things I will be selling in my new shop. I've added a few applique's and the plaque's and ponies. Blankets will be available too! More items coming soon. Name Plaques | Nice Custom Gifts for Kids Bedrooms. I love making these because each one is made just for them. It has their favorite colors, things and sometimes I even throw in their middle names. I have made way more girls plaques because our family has so many girls! I have also made these as birthday gifts. They have been a real hit. I have yet to make my kids some yet. My kids want to help paint theirs, so that will be a project some weekend soon. These look really good when framed and matted too! I still have 9 more on order. So if you are interested in me making one for you, please email me at | trendytreehouse@me.com | to get more info. The Sick Blanket | Warm & Cozy on one side & Cool on the other for fever or chills. Each one comes with a fitted sheet and matching pillow case. The kids love them! So much so, that they have been camping out in the living room every night with them. Yeah! Glad they were a hit! Christmas Ornaments | Some of the ornaments we have made in the past. 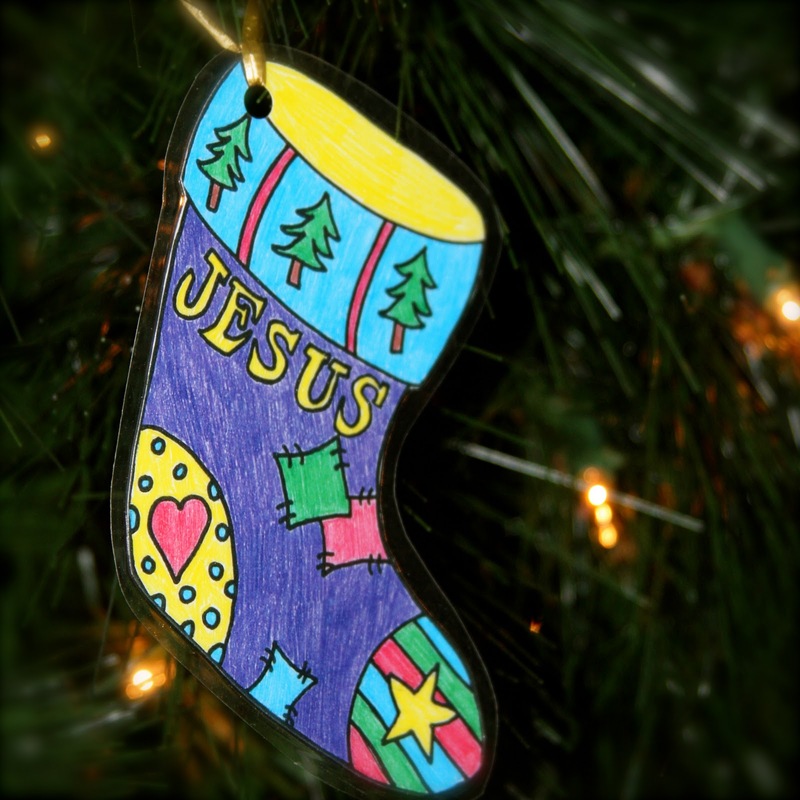 A few years ago we made and sent out Jesus Stocking Ornaments to everyone on our Christmas list. We also added a 8x10 version as a coloring page so they could color their own. 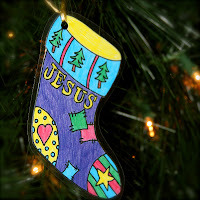 Last year we made silhouette ornaments and photo ornaments with scrapbook paper, glue, wooden remnants and ribbons. We love how they turned out! 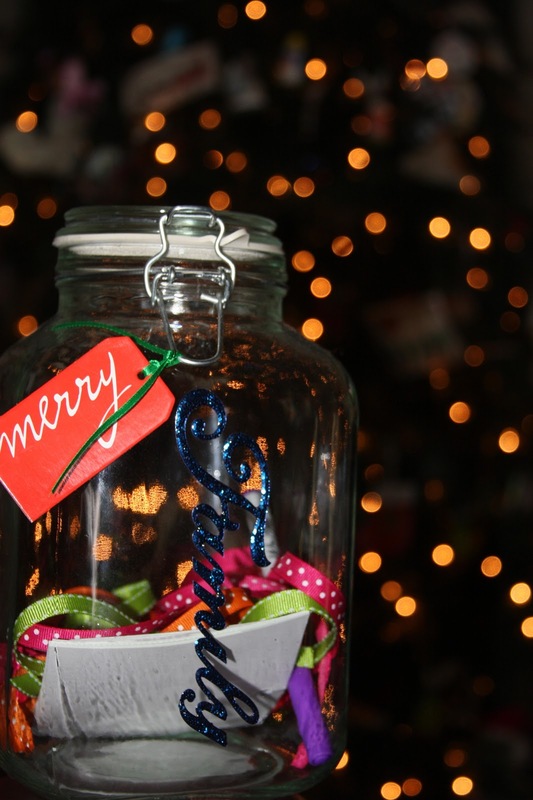 Blessings Jar | Count your blessing by adding them one at a time in this jar! Then read them with your family each Christmas. We got this from our kids this year. Every year they make something with their Nana to give out. This was a great gift I had to share. Just a few | These are just a few fun things I wanted to share with you today! What did you make and give as gifts this year? Are you interested in me making something for you? A Pony (Owls coming soon), blanket, name plaque, ornaments for next year, silhouette portrait, ect. Please email me at | trendytreehouse@me.com | to get more info. Also, check out my shop to order as well. New Items will be added often. I will be offering what I mentioned above as well as many more, including ready to iron/sew appliques. Wow! You Have been busy. I just love the pony. Very cute! And the Blessing Jar, what a fantastic idea. We'll have to remember that for next year. OMGoodness...what LOVELEY gifts!! I would be interested in the little owl's. Very nice!! I love those name plaques! How cool. I love those blankets. Cool gifts!!! :) The name plates and ponies are to cool! Dawn, I will work on the owls and get a picture up soon. I love owls and have always wanted to make a simple pattern for them. And I have the cutest fabric for them too! Similar to the ponies. Oh you are so clever~! I like them all..But the ponies are wonderful with that colorful fabric. I like the blessings jar.. I could fill that up easily..
Have a tiggeriffic New Year's..
Those ponies are the cutest! You are a wonderful mommy!